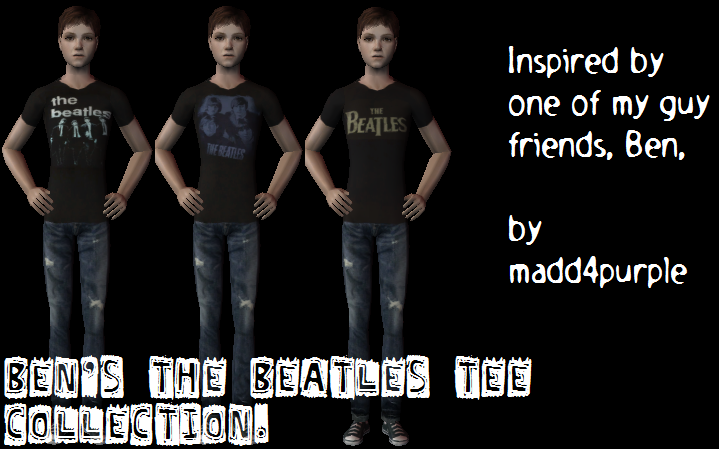 One of my guy friends, Mitchell has like, nine pop [soda] t-shirts and one week he wore a different one each day, so I made these. <-- BTW, that looks a LOT like him (: lol. 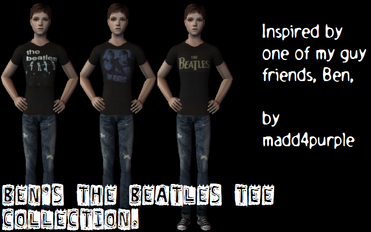 Okay, one one of my guy friends absolutely loves the Beatles, so I made sims outfits for TEEN MALES. enjoy! BTW: If Ben's somehow reading this, then I Lost Thee Game!